If your dog is already well-socialized with strangers, then you may not need to worry about this as much, especially if your dog has met Santa several times before. If they’re used to crowds, shopping with you in the pet store, and meeting strangers, they’re already in a good place for a Santa meet and greet. If this will be a new adventure for your dog, then you need to spend some time socializing them and getting them used to new situations and people. You’ll want to start early to ensure they’ll be calm and ready when it’s picture time. Pay attention to your dog, reassure them, and reward them in new situations and when they meet new people. This will help them stay relaxed and feeling secure when faced with something new and can help keep them comfortable when they’re meeting Santa. It’s also important to brush up on training and make sure your dog has mastered basic commands. There are several basic commands every dog should know, but “sit”, “stay”, and “off” will be particularly useful when your dog meets Santa and has to stay still for a picture. This helps ensure the safety of your dog and everyone around them and it helps you get a good picture too. Some dogs seem to enjoy costumes, other dogs will begrudgingly tolerate them, and others absolutely hate them. If your dog is not a fan of costumes, don’t force them to wear one when they meet Santa. A meet and greet with Santa is already going to be a stressful situation with a lot of stuff to distract and overwhelm your dog’s senses – there is no need to make it worse by forcing them into a costume they’re not comfortable wearing. Try out the costume at home first so your dog has a chance to become familiar with it. If they’ll let you put it on them, keep it on for short periods of time and reward them for wearing it. If they end up being comfortable and relaxed in it while at home, you’re likely clear to have them wear it for their picture with Santa. If they are uncomfortable in the costume at home, it’s best not to try and force it for a picture. There is no need to make them nervous or uncomfortable while meeting Santa. There is usually a long line to meet Santa, which means you and your dog will have to sit still for a while before it’s your turn for a photo. If your dog has not had enough exercise, they’re likely to get bored easily and may not be up for sitting in a line. Plan to take a long walk before you go. This will allow your dog to take care of their business and expend some energy, which may help them relax and help them handle waiting in a line. 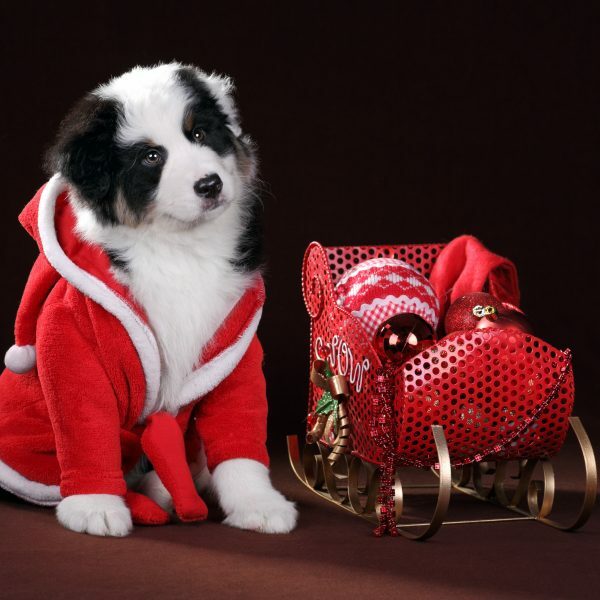 The holidays are crazy and going to a pet store or mall to meet Santa can be overwhelming. Between large crowds, a lot of noise, other animals, and tons of different smells, there are a lot of things going on and even the most open-minded dog can get intimidated. Try calling the store or place where you’re going to meet Santa to see when they expect lighter crowds. Then, try to time the trip for smaller crowds and a less hectic experience. You can also give your dog some calming treats beforehand and reassure them during the trip to help keep them calm and comfortable. You may think a picture of your dog sitting in Santa’s lap would be the perfect picture, but you don’t want to force it if your dog isn’t comfortable with it. Even with socialization, your dog may not want to be handed off to Santa or hugged by a stranger. Instead, be happy with a picture of your pet sitting next to Santa if that is what your dog is comfortable with. You can also bring some treats along for Santa to give to your dog in order to build a little bit of trust and comfort. Your dog may be great off-leash, but you will be surrounded by other dogs and animals when you meet Santa. Since you don’t know how other dogs and animals will behave, it’s best to use a leash or harness when your dog meets Santa. 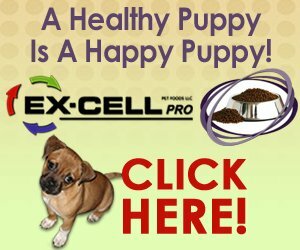 This will help ensure the safety of your dog and others. The photographer will likely have some tricks up their sleeve for getting your dog’s attention when they are sitting with Santa, but it’s always a good idea to bring some back up just in case. You can bring their favorite toy or use a toy that squeaks or crinkles to help get their attention and keep it long enough for a good picture. You can also just stand behind the photographer to bring your dog’s attention there. These tips will help you prep your dog to meet Santa and get a great picture to kick-start the holidays! 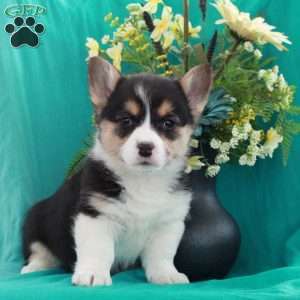 $550.00 Pembroke Welsh Corgi Puppy Our Puppy of the Day!